- Mon Aug 07, 2017 3:28 pm #68908 Hi, I am trying to setup a TLS/SSL connection with a remote server using the ESP8266 as the client. I am using the WiFiClientSecure class, and am trying to verify the certificate the server sends back. I am using the platformio command line tool. I am using the esp8266 staging platform to get the latest(ish) source for the ESP8266 Arduino core. I have placed my code at the end of this post for reference. I am not quite sure what is the cause of the issue as axTLS does not return an error code here. I have tried it with a CA certificate generated using openssl s_client (then translated to DER format, and placed in a C file using xxd -i), and the CA certificate in the example. Both produce the same result in setCACertificate. * and then servers (up to three, minimum two). 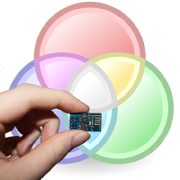 esp8266 staging platform to get the latest(ish) source for the ESP8266 Arduino core. As far as I know the staging version is old. Or are you referring to 2.4.0rc1? I suggest using the latest version in git. I don't know how to do this using platformio so I only use platformio when using 2.3.0. I use the Arduino IDE when working with the git version. Does the HTTPSRequestCACert example work? I just add my ssid and password and it works. EDIT: I just learned platformio supports `platform = espressif8266_stage` which means platformio pulls core files from https://github.com/esp8266/arduino. See the following link for the details. HTTPSRequestCACert works fine using espressif8266_stage. The CA certificate from the example on the main repo did not work. I can try copying it exactly. If that doesn't work I can install the Arduino IDE to see if that works. This seems to work for me. However I am having an unrelated problem in the validation of the cert (at least I think it is unrelated..) where dates that are after 2050 (which use the generalizedtime format) are interpreted incorrectly and cause a verify cert error.